The conversion process from QuickBooks Desktop to QuickBooks Online is quick and easy. However, there are several common errors that can occur during and after the conversion. Below we list each of these common errors, along with the resolutions for each. This happens when QuickBooks Online detects that you have activated payroll features, which may include Billing Hold, Direct Deposit Enrollment, and E-Services Enrollment (US only). Note: This error also occurs if there is no payroll info (employees & paychecks. Payroll features are not available for QuickBooks Desktop for Mac. You cannot import a Mac file to a QuickBooks Online company that has existing employee/payroll info. 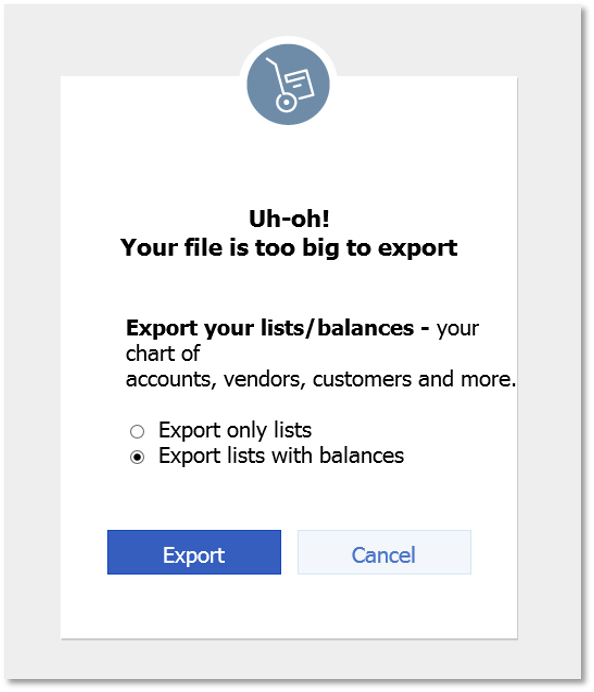 If you're using Intuit Online Payroll to export transactions to your file, you can disconnect from QuickBooks Desktop for Mac, then export the transactions to QuickBooks Online. Note: If you have special discounts for your Payroll Service, contact Payroll support before creating a new account. Creating a new account could remove your discounts. Create a new QuickBooks Online account and import your Desktop data into the new account. Go to Edit, then select Preferences and go to Payroll & Employees. Select the Company Preferences tab, then Full Payroll. 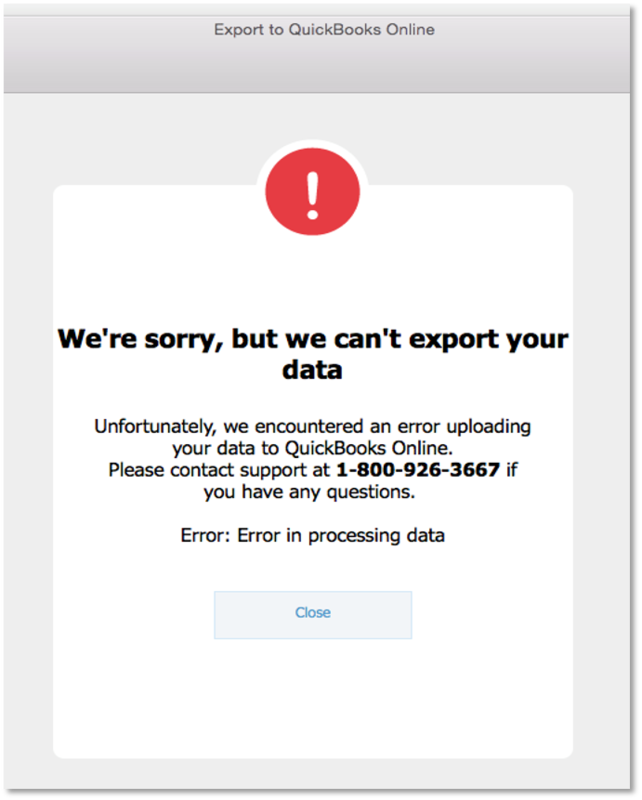 Retry importing to QuickBooks Online. Note: You may have to enable Manual Payroll to complete these steps. If you don't want to overwrite your existing payroll info, create a new QuickBooks Online account instead. Open your company in QuickBooks Desktop. Press F2 or Ctrl+1 on your keyboard to open the Product Information window. Under File Information, check the File Size and the Total Targets. Different regions have different limits. In the US: The file can only have a maximum of 350,000 targets in order to import. In the UK and Canada: The file can only have a maximum of 500,000 targets in order to import. For users in the US: Try condensing your QuickBooks Desktop file. You're not a Master Administrator, Company Administrator, or Accountant user in the QuickBooks Online company file. There's an issue with QuickBooks Online Payroll account services. It's typically because the payroll module can't sync with the QuickBooks account itself. A QuickBooks Online account has been created, but not actually opened before trying to import data. You must log into the QuickBooks Online company before importing. If you're not a Master Administrator, Company Administrator, or Accountant user, have a Company Admin perform the export or ask the Master Admin to grant you administrator permissions so that you can do it yourself. Note: Make sure to cancel your old QuickBooks Online subscription to avoid getting billed for it. On the Company tab, fill in your business Address (Company address, Legal address, and Customer-facing address). Go back to QuickBooks Desktop, and then attempt to import again. This error can be fixed by updating your QuickBooks for Mac Desktop to the latest release. Go to the QuickBooks menu, then select Check for QuickBooks Updates. Restart QuickBooks after installing the updates. Note: In some cases, it can also be caused by corruption in the data file. Resolve potential data issues by running the Rebuild and Verify utilities. 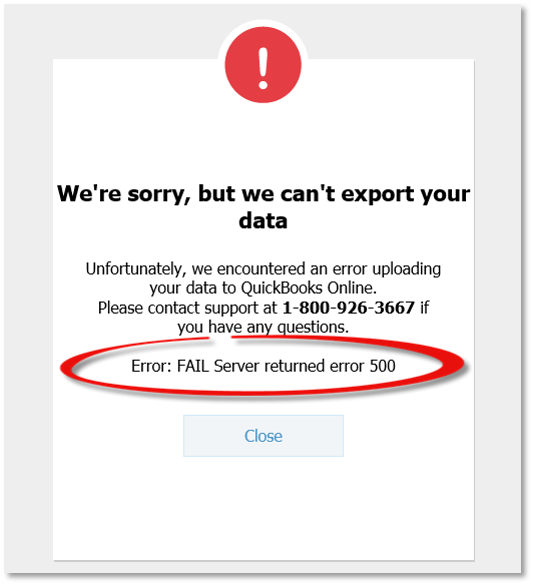 Error: We can't export your data. It may be on a network drive. 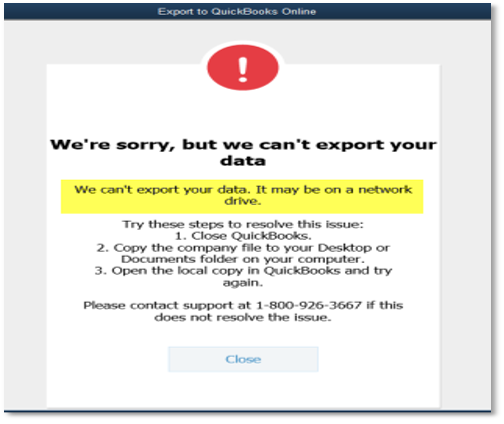 This error occurs when you're exporting your QuickBooks Desktop file while in multi-user mode, or while the .QBW file is on a network drive. With your QuickBooks Desktop file open, press F2 or Ctrl+1. In the File Information section, check the location of your company file. Close QuickBooks Desktop, then copy the .QBW file to your local drive. Make sure you have QuickBooks installed on the local machine you're working on. This can be your existing version, or a free trial (if the year you are using is 2015 and older). Go to the File menu, then select Switch To Single-User Mode. To retry exporting, go to the File menu and select Utilities, then choose Copy Company File for QuickBooks Online. This error occurs when the path to your company file is more than 4 folders deep (Example: C:\My Stuff\QuickBooks files\My Company\2016\Work Files\data.qbw). Press F2 or Ctrl+1 to open the Product Information window, then check the Location to know where the file is saved. Copy the company file to any folder in the C:\ drive. Open QuickBooks Desktop, then go to the File menu and select Open or Restore Company. Open the saved file from the new location. 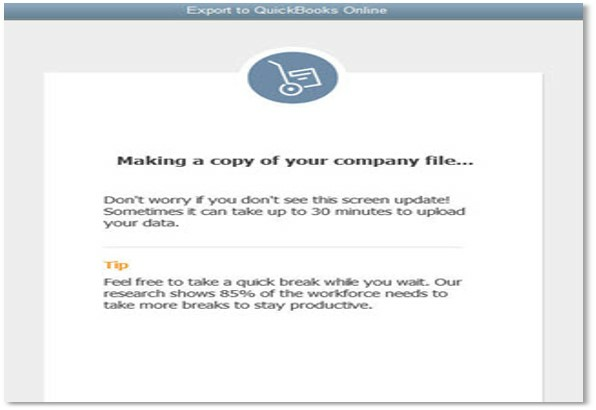 Once the file is open, retry importing to QuickBooks Online. Still can't export your file? Try deleting your [CompanyFileName].qbw.ND file. Search for *.ND file in your computer. You may see this error when you try to export a damaged company file. Take note that even if you verify your data, it may still state: “QuickBooks has detected no problems in your data. If you are using QuickBooks Desktop Enterprise Solutions, see Convert QuickBooks Desktop file to QuickBooks Online. If you are using QuickBooks Pro/Premier, see Import into QuickBooks Online from QuickBooks Desktop for Windows. 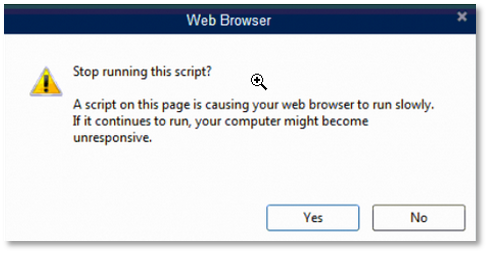 This error may be caused by connection problems or browser issues. Wait for a few minutes, then retry the process, or restart your browser. If that doesn't work, add Intuit as a trusted site. This error typically occurs when you try to sign in on the company to export to. You need to add Intuit as a trusted site in your Internet Explorer. Once you have added Intuit as a trusted site, close and reopen QuickBooks and try the export again. If you already have your .QBW file on your local drive, resolve data damage on your company file. If you still have problems exporting or cannot complete the data damage troubleshooting, contact us (US, Canada, or UK). If you attempted to import inventory from QuickBooks Desktop 2016 or later, you’ll get an email with this subject line. Learn more about this import limitation. To stop the import from completing, select Yes. To allow the import process to complete successfully, select No. This can happen if you have used payroll in your QuickBooks Online company. The easiest way to fix this is to start a new QuickBooks Online account. If you start a new account, don't forget to cancel your old one. Note: If you have special discounts for your Payroll Service, contact Payroll support before you create a new account. Creating a new account could remove your discounts. Right-click the Windows Task Bar then Start Task Manager. Add https://*.intuit.com to your browser's Trusted Sites Zone. First, open Internet Options. Make sure that the Enable Protected Mode checkbox is NOT checked. Select Default Level and set it to Low. Select Sites, then add https://*.intuit.com to the list of trusted sites. Select Close, then choose Apply and OK. Reopen QuickBooks Desktop and retry importing. Close QuickBooks Desktop for Mac. Open Safari, then clear cache. Close Safari, then reopen QuickBooks for Mac. 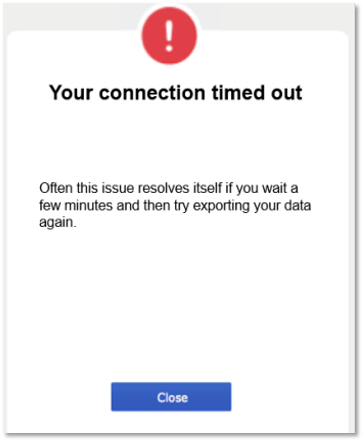 Retry importing the data to QuickBooks Online. After conversion, you may notice that customer balances are off. 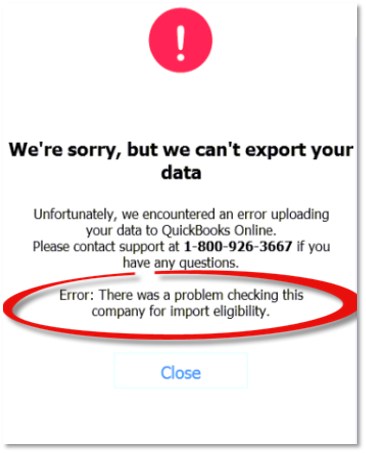 This could likely happen if you used journal entries in QuickBooks Desktop to apply payments to your customer's invoices. The links between the journal entry "credits" and the invoices are broken once in QuickBooks Online. These discrepancies will not be noticed in the Profit and Loss or Balance Sheet report. Select Advanced on the left. In the Automation section, mark Automatically apply credits box. Note: Don’t want to automatically apply all payments? You can record the payments by matching the journal entry credits to existing invoices (through the Receive Payments screen). Do this on a customer by customer basis. This can happen if you have flat rates (0.00) for Sales Tax items or groups in your Desktop file. To keep your sales transactions from importing as journal entries, you'll need to edit the sales tax item "rates" category. 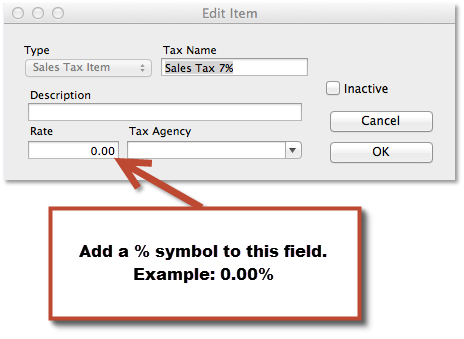 Typically, this occurs in Mac files because in QuickBooks for Windows, you cannot save a sales tax item without a % symbol. If you have multiple items with flat sales tax rates in them, you'll have to edit all the item rates to ensure all your transactions import properly. Sales tax items being converted to journal entries with flat rates is an expected behavior because, at this time, those types of rates are not supported by QuickBooks Online. If after troubleshooting these common conversion errors you are still having problems please contact us for assistance.